This online casino has a Loyalty Program and a welcome bonus of up to $1200. Besides this, there is a deposit bonus of 100% for the first, second, third and fourth deposits, for amounts up to $300. There are other seasonal promotions, so visit the promotions page to learn more. Regarding the games portfolio, Royal Vegas Casino boasts over 700 latest and high-quality games. The categories include online slots, table, and card games, progressive jackpots, video poker, and even live dealer games for a real casino experience. The famous names on Royal Vegas Casino include Agent Jane Blonde, Alaskan Fishing, Avalon and Six Acrobats, e.t.c. When it comes to gaming providers, Royal Vegas isn’t associated with very many casino software vendors, unlike most of the online casinos. It has Microgaming and Evolution Gaming as casino software providers. Microgaming is famous for the best online games, while Evolution is renowned for the best live dealer games. 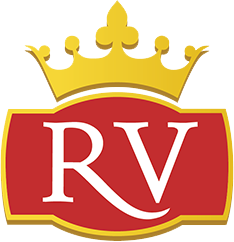 The banking methods on Royal Vegas Casino are extensive. Players can choose to deposit funds via eWallets including Neteller, Skrill, PayPal, Paysafe Card, Diners Club International, JCB, Maestro, EcoPayz, Trustly and so on. Credit and debit cards are also supported as well as bank transfers. The minimum deposit amount at this casino is $10. Regarding withdrawals, eWallets are again supported, and transaction times range from 24 to 48 hours. Card transfers take 2 to 5 days while bank transfers take 2 to 5 days. Winners can also withdraw via cheque, but it takes longer: 7 to 28 days. There is a 24 hours pending time and a $5000 weekly withdrawal limit. This casino has a vast clientele from the different regions of the world. To offer everyone the best gaming experience, it is available in several international languages including English, Spanish, Swedish, Portuguese, French, German, and Finnish among other popular languages. Switching from one language to another is pretty straightforward on the language menu. As far as currencies are concerned, players have a variety. They can choose Australian dollars, US dollars, euros, New Zealand dollars, British pounds, Norwegian kroner, Swiss francs, Brazilian reals, and Danish kroner just to mention a few. Players are no longer restricted to foreign currencies; they can use their preferred local currency. Royal Vegas Casino is available in downloadable format as well as instant play and mobile gaming. The casino is supported by various devices; desktop, tablet, and mobile and is highly responsive. Above all, Royal Vegas Casino platforms are secured by the latest encryption to ensure clients’ data is safe always. To make sure that players get the best online casino experience, there are several customer support channels to resolve player issues and also to guide the newbies. The casino has a 24/7 live chat support which guarantees immediate feedback. There is also a telephone line and additionally, an email address for further assistance.